This initial decision was made on a whim – there were no grand career ambitions, set goals or plans to travel to China in the immediate future. Part of my attraction to the challenge of learning a new language was the fact that it was not something I had previously done. My mother is from Spain and I was raised bilingual so speak fluent Spanish, but there is a huge difference between acquiring a language in infancy and learning one from scratch in adulthood. I was intrigued to find out how I would fare. My first class took place in January 2017 and over a period of two months I attended one lesson a week, each lasting one and a half hours. My Chinese teacher, Kong Laoshi, was highly energetic and engaging. 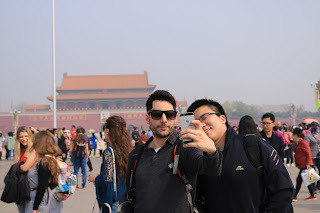 Each class he would teach us what seemed like thousands of new words and phrases, then get us to act them out in role plays simulating basic Chinese introductions and conversations. After each lesson I felt as though by brain had been placed in a deep fat fryer for a prolonged period of time – in a good way. Despite some initial misgivings, after a while I began to realise that the more my brain ached immediately after class, the more information I had taken in. Between weekly classes my mind would reorder and make sense of the chaos. I found that Chinese phrases or nursery rhymes we had covered would pop unexpectedly into my head at random moments, such as when in the shower or driving to work. It helped immensely that in-between classes I regularly practised everything I had learned with my Chinese language partners. Finding Chinese students who would like to practise English in exchange for Chinese is not difficult at the University of Leeds, where more than 6000 international students come to study every year. 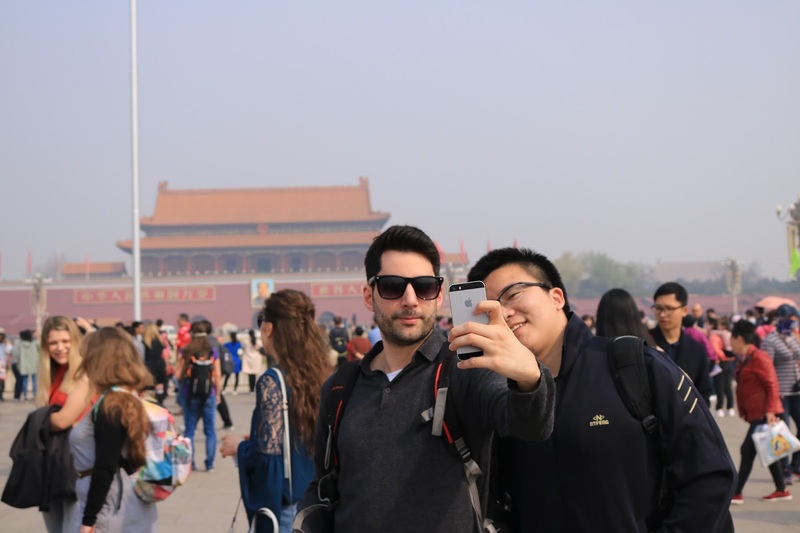 My new Chinese friends helped to consolidate what I had been taught and expand my vocabulary with regular conversation practice, while also teaching me all about their fascinating culture and the more unusual or exotic aspects of their cuisine. I found that learning Chinese was simultaneously much easier and much harder than I had thought it would be. It is much easier because Chinese grammar – at least at beginner level – is significantly simpler than English or Spanish. It is harder because reading and writing to a decent standard involves the memorisation of some 3000 characters, a challenge which for the moment looks insurmountable but which I am nevertheless determined to conquer one day. More than a year after I embarked on this journey I have now completed the Business Confucius Level 3 course and am able to hold basic conversations with Chinese people on a variety of topics. I went to China on the BCI China Camp this year, which was an exciting opportunity to test my language skills and expand my knowledge of Chinese culture. I have also been invited to visit a friend in Taiwan, who I met through language exchange in Leeds. I plan to travel there next year. I recently landed a new job as an Employability Officer at the University of Leeds’ School of Law, with responsibility for International Students. Part of my remit is to build relationships with Chinese employers and provide employability opportunities for our large cohort of Chinese students. Although it was never part of the plan, it seems likely that learning Chinese will also help me in my career, further fuelling my motivation to continue my studies. I would highly recommend learning Chinese to anybody who is interested in taking on a challenge, regardless of whether you have previously learned a language or not. 1) Don’t be put off if you don’t feel you are not taking anything in at first. Persevere, give it time, and remain faithful that your brain will make order out of chaos. 2) Find yourself a language exchange partner (or five) and practice your spoken language skills in between classes. There is no better way to improve while learning all about Chinese culture. The Chinese language is a group of language belonging to the Sino-Tibetan language family. Every year, on the 20th of April, the United Nations celebrate World Chinese Language Day. This is a proud day for a nation. Thanks, for sharing your experience with QandA team.